Seeing as the bank holiday is going to be filled with sunshine, you’ll no doubt want to track down some delicious drinks to sip on, while chowing down on a cooling ice lolly or ice cream on the side. What a set-up, eh? But one bar in Paisley has gone one step further, as it has ingeniously combined the two into one glass – and it not only looks bloody delicious, but is also a tribute to one of our favourite childhood treats ever. 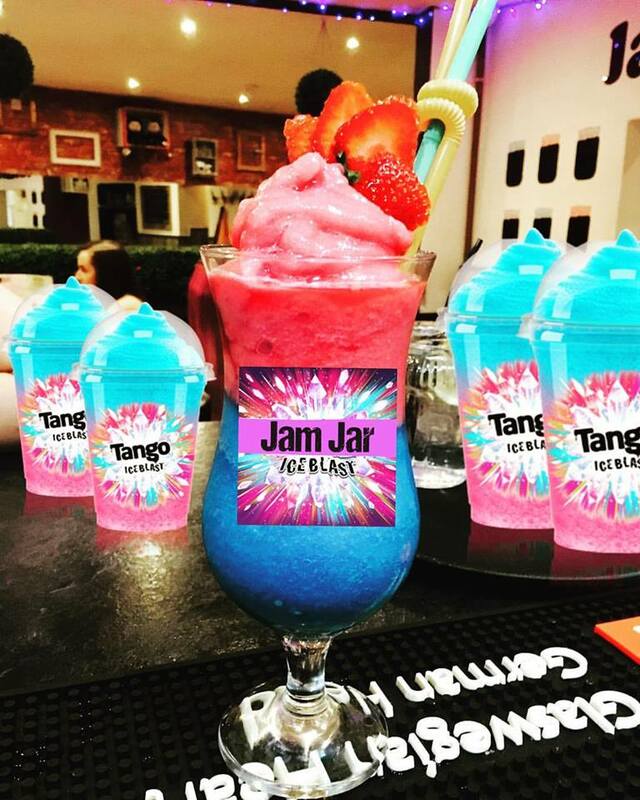 Jam Jar’s tasty drink – which costs just £6.50 – is ‘bursting with flavour’ and has green and cream swirls just like the lolly, which is an all-round favourite when the ice cream van pops down the street. Of course, there’s an all-important splash of alcohol in each drink, and they are topped with red slush and some juicy fruit. There are also plenty of other brightly-coloured, delicious-sounding nods to cult classics on the drinks menu – including a raspberry and mango one inspired by Bagpuss the cat. The bar also mixes up Minion-themed daiquiris, which are bright blue and yellow and come with a little eye popped on top. 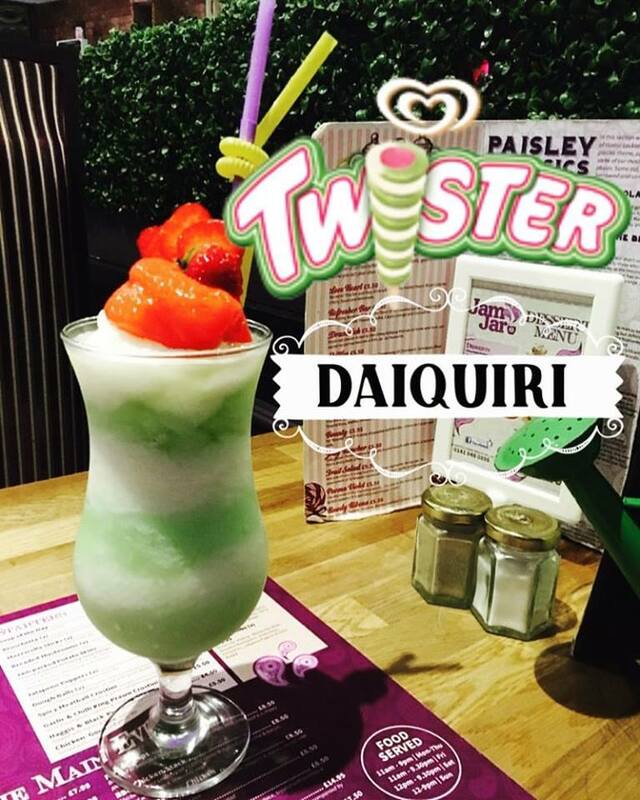 Just like the Twister-inspired cocktails, they are also priced at £6.50 per drink – but according to the bar’s Facebook page, these are limited edition, so you better move fast if you want in on the action. But the bar’s greatest move yet has to be its ode to the almighty Tango Ice Blast, the much-loved cinema staple, which has also been transformed into a boozy cocktail. Unsurprisingly, it’s sent people wild, and the entire nation is now probably booking a trip to Scotland just to have a taste. If it’s that Tango Ice Blast flavour you love, you can also now get it in sorbet form thanks to Crollas Gelateri, a Scottish gelateria (why does Scotland suddenly seem like it’s 3,000 light years ahead of the rest of the UK? ).